The incumbent will support the Tanzania Local Enterprise Development (TLED) Project to reach its objective of facilitating delivery of Business Development Services (BDS) to Small and Medium Enterprises (SMEs) in regions. S/he will also take part in building capacity of the T-LED SMEs which includes selecting and making regular contacts with the SMEs, facilitating training and coaching on areas related to business development, marketing and financial management and organizing exhibition events for the SMEs amongst others. The project focuses on selected Value Chains related to Foreign Direct Investment (FDIs) in the areas of Oil and Gas, and gives priority to SMEs that show great potential to grow. Additional roles may include supporting day to day activities in the T-LED regional office activities as needed. Much has changed since VSO started 60 years ago. We’ve gone from being a UK charity to a truly global development organisation. In 2016/2017 alone, we worked with over 7,000 volunteers from all over the world and from all backgrounds to deliver services that had an impact on the lives of almost 2.6 million people in the 24 countries where we work. Our programmes focus on the areas of health, education and livelihoods, with an increasing emphasis on resilience building, social accountability, gender and social inclusion. We believe progress is only possible when we work together and that strong partnerships are crucial to delivering positive change. That’s why we work with over 500 partner organisations, from local and national governments, to businesses, NGOs, funders, charities and community groups. Currently, over 30% of our people are recruited from within the country in which they work, and we continue to grow the share of community and national volunteers involved in our programmes. We also send increasing numbers of volunteers from one developing country to another. However, our vision has remained the same; to build a world without poverty. 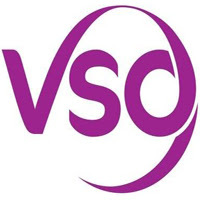 VSO is the world’s leading international development organisation that works through volunteers to fight poverty. Working in 24 countries around the world, our unique role in international development is to place committed volunteers with carefully selected organisations where their skills can have the greatest impact. Our extraordinary volunteers live and work in some of the world’s poorest communities. Sharing their unique skills and experience to generate new ideas and new ways of doing things, helping the communities they work in lift themselves out of poverty. We’re not about delivering quick fixes, but instead we focus on long-lasting, sustainable change, that will impact generations to come. Join us and help us work towards our vision of a world without poverty. 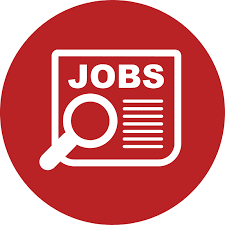 The ideal person for this position will support the project manager in the implementation of the Lake Zone Knowledge Exchange project by providing logistical support, management of meetings, reports review, follow up project implementation activities, and other duties as assigned by project manager. If you want to work with Volunteers,Partners and Staff from different culture, this might be your job! A bachelor degree in business, marketing, international relations, Entrepreneurship or related subject. 2 years of work experience in a professional environment; preferably in a reputable company/organization. Report writing, monitoring and evaluation. Experience in conducting one-on-one business mentoring, facilitation and training. Commitment to team and building its capacity. Must possess strong written and spoken English and Swahili language skills. Ability to be proactive and use creativity to drive solutions and results. Excellent coordination and planning skills with experience of working under pressure. Time management skills. Relationship Building – Ability to build effective working relationships, inspiring confidence and credibility with employees at all levels. Strong influencer of others. Ability to work effectively across a globally dispersed organisation. People Management – Experience of matrix management of project team members across a global organisation. At least three years in management and Training or education background. Organisation and planning – Excellent coordination and planning skills with experience of working under pressure. Time management skills. Financial – Experience of successfully monitoring and managing budgets. Analysis and creative problem-solving – Ability to analyse and quickly grasp the fundamentals of a need or issue. Able to find innovative ways of solving or pre-empting problems. To submit your application, click the link below and complete all relevant fields on the online application form. VSO is the world’s leading international development organisation that works through volunteers to fight poverty. Working in 24 countries around the world, our unique role in international development is to place committed volunteers with carefully selected organisations where their skills can have the greatest impact. As a VSO volunteer, you’ll live and work in some of the world’s poorest communities. By sharing your unique skills and experience you’ll help generate new ideas and new ways of doing things, helping the communities you work in lifting themselves out of poverty. We’re not about delivering quick fixes, but instead, we focus on long-lasting, sustainable change, that will impact generations to come. Join us as a VSO volunteer and help us work towards our vision of a world without poverty. As a private sector engagement Expert, you will mainly be involved with establishing, maintaining and strengthening relationships with the private sector so that Lake Zone Youth Empowerment trainees can access apprenticeship, internship training, and possible jobs. You will also be responsible in facilitating communications between industries and the project. If you are passionate about using your engagement skills to demonstrate the positive change VSO is doing in Tanzania, you are the ideal candidate! • Previous experience in starting or managing a business. • Previous experience in training and/or educate young people. • Previous experience in facilitating group sessions. As a VSO volunteer, you will be sharing your skills with local communities on a full-time basis. VSO will cover your travel, vaccinations, accommodation, and medical insurance costs, along with a local living allowance which will be paid in local currency. This allowance meets reasonable living expenses in the country, but will not be enough to send money home. You will also receive some financial support to contribute to your on-going expenses at home.